When the time comes for your loved one to need full time residential care it can be very difficult and distressing for everyone. We hope it gives you a flavour of the great life your loved one will enjoy here at Victoria House. Wouldn't it be great if you could find a care home that looks after your loved one with the same loving care that you do? A home where they'll fit right in, make new friends and actually really enjoy life. That's what you'll find at Victoria House. We believe at Victoria House we've created the ideal environment for your elderly loved one to re-discover their joy in life and to get the best out of their later years. We're a small community where everyone knows each other and looks out for each other. Victoria House's small 15 bed size means that all the staff know all the residents and all the residents know each other. There's a genuine community feel to the place and this really helps our residents to enjoy life more, especially if they've previously lived alone for a number of years and have been unable to get out much. It can be quite a revelation and many residents comment they wish they'd moved in much earlier! The home has a familiar friendly style, just like their own home. If your loved one has come from the local community the chances are they don't live in a huge house and wouldn't feel particularly at home in one. Large corporate 'Travel Lodge' style homes may seem attractive to us, the younger generation, because we're used to them. However, for mum or dad they can seem like large, anonymous, intimidating, institutional style buildings that are a world away from what they're used to. They're so big that you can't get to know everyone and rattling down those long corridors to see those you do know can be a real chore. 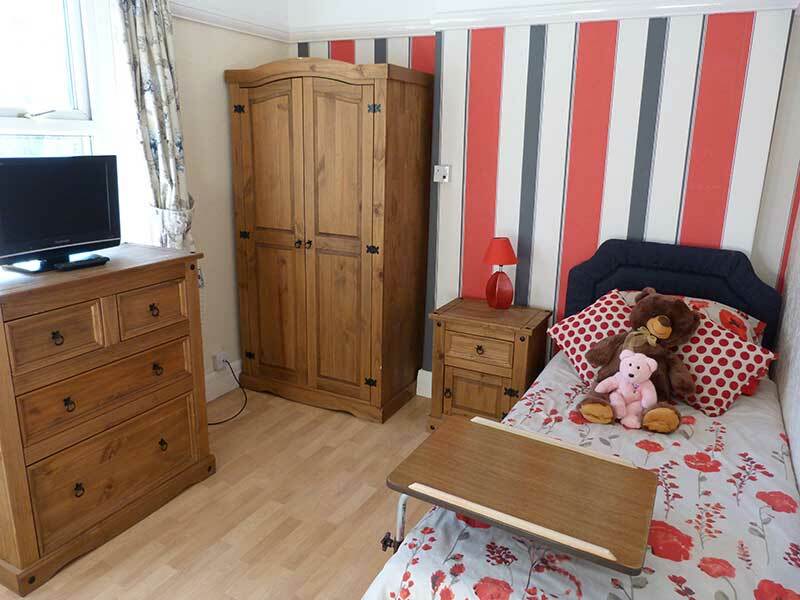 They'll feel much more at home with the cosy, comfortable, traditional feel of the rooms at Victoria House where everything is easily accessible and you don't need a walkie talkie just to hold a conversation across the living room. We Employ Nice People. We Don't Employ People To Be Nice. Your loved one needs to know like and trust our staff members completely if they are to feel comfortable in letting them care for them - and so do we. So, we have a stringent, in depth recruitment procedure to ensure that only the most caring and understanding of individuals get to care for your loved one. They are selected not because they want a job, rather because caring for people is their vocation. This is truly important and often over looked in larger homes where there is often a regular turnover of staff and high pressure to recruit and fill a large workforce. Agency staff are temporary staff that are recruited and supplied by an outside company to come into a care home to provide short term staff cover. This means that a complete stranger may very well end up helping your loved one with intimate tasks such as bathing leaving them feeling very uncomfortable, exposed and embarrassed. At Victoria House we never use agency staff as we believe that the bond of friendship and trust built up between our residents and staff is too precious and important to be violated. There's always something fun and engaging for your loved one to get involved in at Victoria House. We don't need a much of an excuse for a party and have had great fun with Wimbledon tennis days with lots of strawberries and cream and Derby days with everyone 'betting' on their own horse. We pride ourselves on providing friendship and helping our residents to regain their independence and enjoyment of life through providing daily activities that they used to like but have stopped doing recently. Things like visiting the shops, doing arts and crafts, playing bingo or even popping down to the local pub. Then there's the delicious mouth watering food which everyone looks forward to. We have two ladies who come and do the cooking. They don't have any fancy cooking qualifications or catering college degrees, just a lifetime of preparing tasty nutritious meals for their families. So at Victoria House your loved one will continue to enjoy some of the most important things in life: friendship, fun and true home cooking at it's best - the way it's always been done! 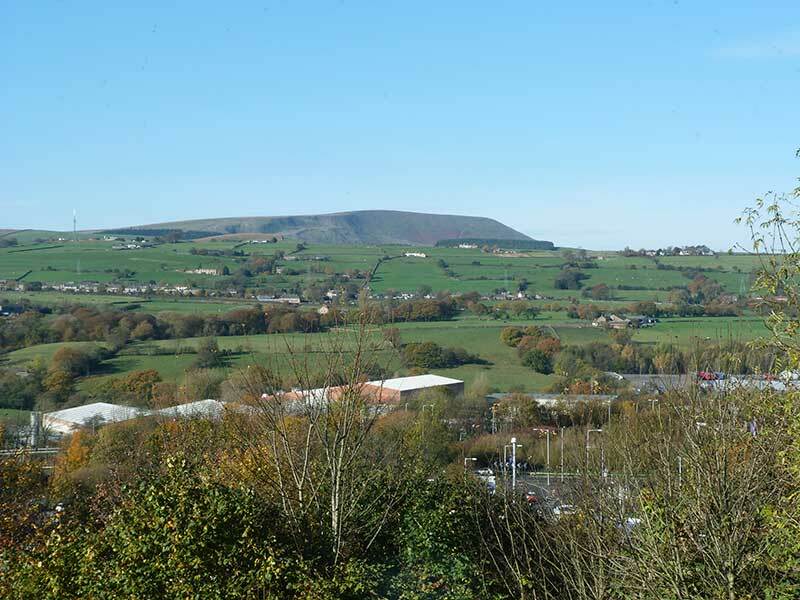 View from a room overlooking Pendle Hill. We hope you feel this brief introduction to the home shows how Victoria House will provide your loved one with a warm, friendly, safe and fun environment and truly exceptional care. However, the best way to see if Victoria House is right for you is to come and see for yourself. You're very welcome to visit any time and the kettle is always on so why not pop in and take a look. If you have any questions or would like to arrange an appointment with the Home Manager for a confidential chat about your requirements, please call us on 01282 697535 or email us at victoriahouse@deltacare-ltd.com.